To view this book on Amazon, please click here. Our nation is losing veterans to suicide at an epidemic rate numbering many times more than all the combat deaths since 9/11. 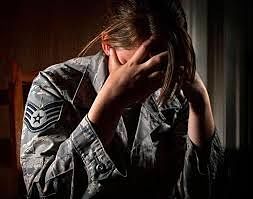 A so-called “invisible wound of war,” Moral Injury is at the root of many psychological issues facing our returning troops and veterans and it can linger years and even decades. Moral Injury is as old as time. In any faith-based society we are brought up under the basic rule that life is sacred… “thou shalt not kill.” All the religions of the world state this belief in various ways. It forms the basis of being a civilized society. Yet in war, we place our men and women in situations where they have a duty to fight and kill others. This moral conflict can be devastating for returning service members and their families. Many symptoms overlap with those from Post Traumatic Syndrome (PTS) or Traumatic Brain Injury (TBI). But one can have these conditions and not Moral Injury and vice versa. All of these conditions can be treated, but awareness among the public and professional healthcare experts alike is sorely lacking. 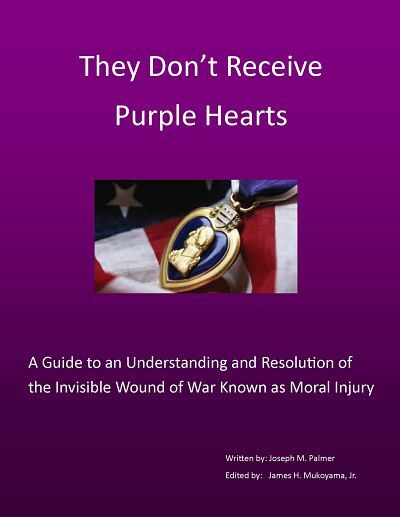 Military Outreach USA, a faith-based , 501(c)(3) organization, is changing that scenario through public presentations, workshops, webinars, on-line resources and publications, to include the most comprehensive book on moral injury to date entitled, “They Don’t Receive Purple Hearts,” written in straightforward language for the general public that includes a definition, history, symptoms, healing approaches and resolution. Written and edited by Vietnam combat veterans, it is provided to members of the Military Outreach USA Military Caring Network. All services, programs, and publications are provided free of charge to network members which include Houses of Worship of all faiths and Organizations, such as Advocate Hospitals, serving our military, veterans and their families. Membership in the network is likewise free. For further information, please see: www.militaryoutreachusa.org.